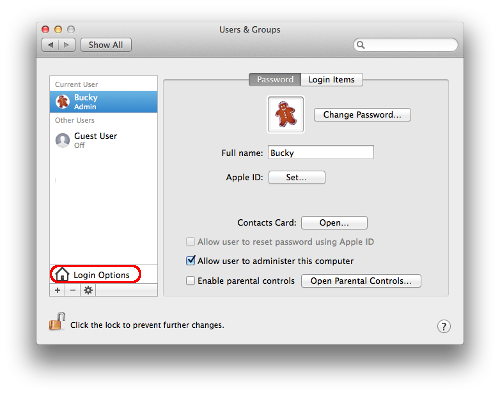 This document describes how to enable or disable automatic login for Mac OS X.
Click the Apple logo in the upper left corner of your screen. Click Users & Groups. In earlier versions of OS X, this category is called Accounts. 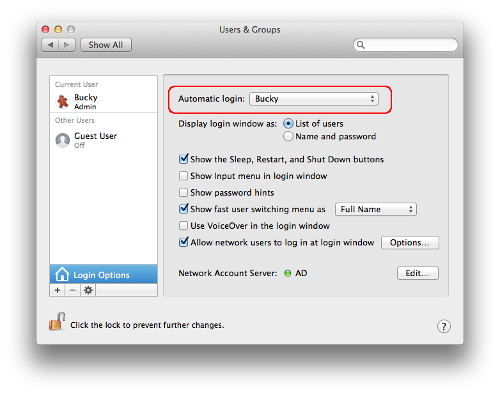 Click the lock icon to unlock settings and enter your admin password when prompted. In the field next to Automatic login, select the name of the user you would like to log in automatically. To disable automatic login, select Off. 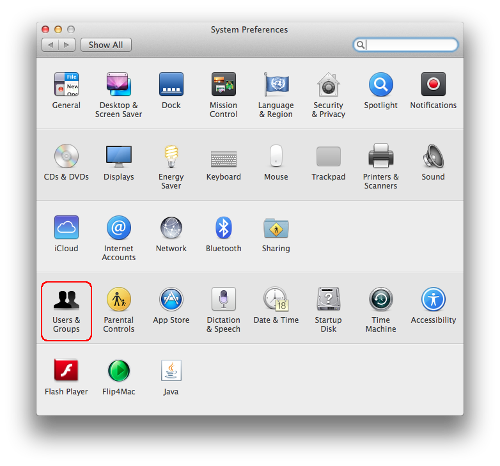 Close System Preferences to save changes.